I am in HOT, HOT, HOT Modesto, California. The temp is expected to hit 110-115 degrees today! We often complain in Tampa about the humidity that comes with our southern/tropical heat. Trust me, sometimes humidity is good! It allows moisture in the lungs and NOSE! A very important fact when your lungs are used to receiving a little bit of liquid upon breaths. My honey flew out from San Francisco vacation last Wednesday to head back to Florida. He left me and my daughter Julianna in California. J and I drove from San Francisco to Stockton, California where we joined the Lifeway Women's Ministry team for a "Fully Loaded" Woman's training event. It was great fun to be with the Lifeway team again and to see so many of my California friends made at past events!!! One of the COOLEST parts of "Fully Loaded" was hearing from my darling little sister in ministry, Kelly Minter and to be led in worshiping God with my sweet California sisters in Christ by none other than Travis Cottrell!! If you have not heard about these two please check out their websites. After Fully Loaded was completed we went back to our hotel for a nap and had the treat of watching a Bible teacher you all may have heard of by the name of Beth Mooore , play a little wiffle ball on the hotel lawn with her band and ministry team. That was cool! Did anyone get a picture, my camera battery was dead? Later Friday evening (after she lost the ball game!) Beth brought it as usual, launching her teaching from Revelation 19. The title for the message was "The 7 steps from Bridezilla to Bride". I loved it and was challenged, as usual, to consider every day a bit closer to the "Wedding" of all weddings. The great day that we see our "King of Kings and Lord of Lords" breaking through the clouds riding on a white horse to claim us a His Bride, once and for all!! 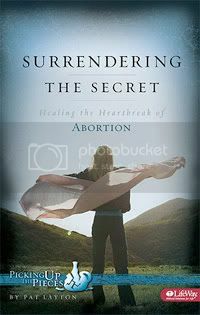 One of the things that I have been "apprehended" to do is to minister God's healing love to those who have been devastated by abortion and to help equip others who want to do the same. That is what I am doing in Modesto! Julianna and I left FULL of the great things that happened in Stockton, and headed south to Modesto. We are enjoying a day of rest today (she is sleeping as I blog!). Tomorrow I am privileged to serve a group of 20 or so ladies whose desire is the same as mine. I can not wait to pray with them, hug on them, serve them, learn from them and just generally dwell in God's sweet presence together with them! If you have not registered and live anywhere near this HOT TOWN, please come on over!! Otherwise, I would be so very grateful if you would just stop at the end of this post and say a little prayer for me, for us, for what God is doing with and through STS. I am humbled and amazed and my eyes fill with tears of gratitude as I write. He truly is the Bridegroom and we are His pure and spotless Bride. HALLELUJAH!!! Salvation, glory and power belong to our God! I know that you will not believe this but only a smidgen of the photos that we have taken this past week are on this "Smilebox". My photo frenzy got so bad that honey was only allowing me to take pictures out of the car window as we drove by AMAZING things!!!! This was NOT fun while driving down Lombard. If you just can't stand it and NEED to see more you just let me know. I have a few more to share. Tomorrow morning Honey heads home to Tampa and Jules and I are off to Stockton!! p.s....I do have my camera! Exactly how far IS the East from the West??? For some reason in my sometimes strange brain, every time I read or hear that scripture, I wonder about that concept. I mean really? What exactly is the stopping point of the East and the starting point of the West? In My world….this is the East. "East" being Florida's WEST Coast. I know that Florida has a more Eastern coast than the one that I live on but my everyday East is the West Coast of Florida. This is our shoreline just a few days ago at Longboat key, Florida. As smooth as glass. Almost always calm and tranquil. On most any day you can see your toes on the bottom of the Gulf of Mexico as far out as you can walk into it. This is the shoreline of Monterey Bay, California. Hey, I could go on and on. I took so many pictures I ran my camera batter down. We flew into San Francisco and drove Highway 1 into Monterrey Bay. All three of us were asleep by 9pm (12 pm our time) on Thursday night. Honey was up and about at 4:30 am yesterday, which of course was 7:30 am to his brain! We spent the day exploring Monterey Bay, the Monterey Aquarium which is UNBELIEVABLE! We had lunch watching the kayaker's play with the otters and then headed out to travel the 17 mile shoreline drive from Monterey to Carmel. WE ended our day in Carmel at dinner with Clint Eastwood at the "Hogs Breath Inn" (doesn't that sound appetizing? )...Well, Clint didn't show up but we enjoyed it anyway! As far as just how FAR we have come form home, based upon our time in the air on Thursday, it is a REALLY LONG WAY!!!!! We were up at 4:30am EASTERN time to start our journey Over the Gulf, over Texas, over, New Mexico, Colorado, Nevada. It was beautiful to see but a long flight. I drew the short straw between honey and Julianna and ended up BETWEEN honey and Julianna. She had the window seat, and my shoulder and he had the aisle, and my other shoulder! Both of them slept most of the flights. I on the other hand, could not move my head so I listened to pod casts for 6 hours!! I have always wondered why I am not allot smarter with all of the teaching I have listened to and the books I have read. During our flight I was getting VISIONED UP by Andy Stanley. By the time we arrived I was ready to make an appointment with Governor “terminator” to help him fix things up in his beautiful state. I had me some IDEAS but I still don't know how far the East is from the West. I do know it is REALLY, REALLY Far!! Praise His Holy Name! My suitcase does not have long to gather any cobwebs and neither do I! Praise the Lord! I head out bright and early tomorrow for sunny California. This will be my second trip to that beautiful state this year. This time I do have a bit more time to play! I will be hanging out in the San Francisco Bay area for a few days before joining an amazing group of women who are thirsty for more and more of God! I am sure to bring home some eternal souvenirs!! Before I leave I want to remind you about 2 things that I am doing while on the other side of the country. If you live in California or just LOVE to fly like I do, I would be thrilled to meet you there! Thursday June 25th and Friday June 26th I will be joining the Lifeway Women's Ministry Team for a Woman's Ministry Event sponsored by Lifeway Women's Ministries called "Fully Loaded"! 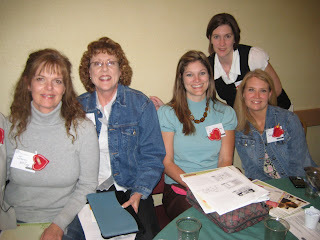 FULLY LOADED is a Woman's Ministry Leadership Training and Equipping Conference that is fabulous (if I must say so myself and since this is my blog and no one else can post here--I must!!). It is not too late to register! My training is on ministry to women in crisis and it is a blast. HINT.....Chocolate and hearts are involved!!! Fully Loaded is the WARM -UP act for none other than Beth Moore's Living Proof Live!!! Beth will be doing her anointed thing on Friday night and Saturday morning. If you are anywhere even close----You have to come!!! God uses Beth in a way that none can or would want to deny. I, for one, can't wait and I will have my precious daughter with me for the first time at a Lifeway event. We are so excited we can hardly stand it. I have been telling her story at these trainings for 2 years, now is your chance to meet her. AFTER all of that God time I will be teaching a "Surrendering the Secret" Certified Leader Training in Modesto, California. I should be FULLY LOADED by then so it will be really good!! The CL training is to offer additional equipping and HUGS for those who are ministering post abortion recovery in your churches or pregnancy resource centers on the West Coast. We have plenty of room for more so please go to our website to register for that one day training. I have to go REPACK now, my stuff just won't all fit into one suitcase. Continental charges for EVERY bag so I was attempting to squeeze some things together. Not working! My next post will be shared from the distant shores of Carmel by the Sea! If you have been a regular visitor at "Sweet Tea" you have probably noticed that I can be a bit "spontaneous" with my post. I try to spend time critiquing my thoughts and didactic words before writing, attempting to be sure it all makes some sense. More often than not I imagine, my rumblings result in a bunch of blotched or bumbled blog-bites that only I can understand or at least, care about. This may be another one of those. I hope not. I felt so stirred about this that I started typing my thoughts on Saturday afternoon about 30 minutes before heading out to a party at "GYMBOREE" for 3 G-babies all having a birthday just days apart. This is the deal, over the past few weeks I battled the blahs big time. I am not completely sure what seemingly small life issue caused my personal pit visit. I have had a few family things stressing me out, some ministry disappointments that have altered my path and (only those who truly deal with this will understand the enormity of this one), my jeans have been too tight. ALL of them.Whatever. Yep, I know, you thought I was a spiritual giant right!!?? Wrong!!?? I any case, the final result was a bit of a PIT FALL! I truly had several bad days when I struggled with what to do to get out of my mind mess. I am not making light of the huge numbers of people, Christians included, who suffer from serious depression. As I write this my heart goes out to those who have had much bigger and much longer challenges. However, I continued to feel a bit out of sorts. In all of my reasoning and trying to figure things out, it never occurred to me that I was lonely. I consider my life pretty full of people and activity, a good marriage, wonderful ministry friends and staff but I often let real friendship time take a back seat to busy. You know the times of "girl talk", accountability, transparency, good old dumping your guts out and letting them do the same. As always, God led me to just the medicine that I needed to help pull me up from the dark side into the light! Over the past few days I have had the chance, rather I should say, I TOOK the chance, to spend some time with 2 special friends--one old friend, the kind who can finish your sentences and knows the history of any given life challenge, and the other with a fairly new friend. We are still getting to know one another and learning more and more about why God has connected our hearts in such a short time. It reminds me of an old song I learned in Girl Scouts..."Make new friends and keep the old, one is silver and the other is gold!" I spent over 2 hours with each one over the past few days! Just talking and laughing and sharing a few tears. By the time I left the second meeting I felt 100% better and ready to take on the world again. I could actually feel the change in my heart. That is what prompted me to write this post. First, we have to be REAL with one another in order to survive this life that we live. Secondly, my heart just goes out to those who are struggling through depression or just some low times. We all have down times but some, maybe someone who is reading this now, wonder if they will ever see light again. Sometimes depression is caused by physical changes, sometimes fatigue or pressure or a feeling of failure or loss. I have learned over the years, when I face one of those days, weeks or seasons to start with some obvious remedies. Number one for me as a woman who is fully persuaded that God is the source of my joy and peace. I start with HIM!! I spend extra time sitting in His presence asking Him to reveal any area of my life that might be CAUSING my downfall. The scripture that I quoted above, Ps 139 closes with "search me o God and see if there is any offensive way in me". I try to review the 3 W's that lead my life: Word, Worship, Wait. The WAIT part is always the toughest as I try to keep my heart fixed on God until He leads me and shows me what to do next. Sometimes we just need to stay busy doing things like cleaning a closet, writing a thank note, reading a good book. Some other obvious life things that I always consider when I can't get out of the pit are some practical health and wellness pieces that sometimes slip out of order in my busy life. Things like eating right, exercise and getting a good nights sleep do amazing things to improve our heart and thought life. In my recent case, what I discovered I needed was just some good old friendship and girl talk! Much to my surprise the message in church yesterday was on loneliness. The scriptures quoted were the very same ones that I had written down on Saturday afternoon to share with you. If that is you, I pray that God's Word, not mine, will reach down into your heart and draw you up into His light! Get into His presence, remind yourself of HIS promises and for goodness sakes---if you need to share your heart---Call a Friend. My prayer is that you will reach out and find "SILVER or GOLD" and discover as I did, the arms of a friend or two who will reach down into the place you are sitting and pull you up into the light. God knows what you need today. He cares and He will show you the way up!! It is not nearly the same but if you leave a comment, I promise to pray for you the minute I read it. We have actually been considering moving again. We understand that it is a "buyers market" which is great on the one hand and not so great on the other. In any case, a fresh understanding of "location" has come to my attention in some funny ways. mmmm.... I don't know, this thing could use some work!! OK....it's NOT THAT MUCH Work! The house needs a little updating but hey....my son is "The Remodeling Guy" after all!!! Unfortunately, the BARGAIN price of 2 Million dollars just doesn't work for us. More recently, I have acquired a new family who has moved in to our home, just a little too close for comfort. This birds nest is sitting right outside of my kitchen nook french doors. It is nestled in an old planter box that has pond chemicals inside! What was she thinking!!!??? This little finch Mama needs to get a NEW Realtor! Last weekend we had some company over and I was showing off our latest tenants and decided to climb up on a chair to peek in at the birdie eggs. Little did I know that MAMA WAS HOME!!! Out she flew practically up my nose. We completely freaked each other out!! I must say, I will not be asking HER advice when I go lot shopping! As for location number one......All Critters Would be Welcomed!! Especially those who live IN the water! 25 years ago today a beautiful young woman by the name of Terri Garrett invited a shy, broken hearted, messed-up-life woman like me (actually, it WAS me!) to hear a Bible Study teacher. The LAST thing that I thought I wanted in my life was to listen to someone talk about the Bible but I did want what I saw in this woman’s face. She glowed and I wanted some glow. She was happy and peaceful and I wanted some joy and peace. She was confidant in who she was and I wanted some confidence. Terri had no business cards, no office, no ministry building. She had no published books, no facebook and no blog and no website. She was just a woman who wanted to share Jesus. She picked messed up me in her car on Saturday morning, 6/9/84, and took me to a one day ladies event being held at her church. The speaker was Beverly Abel and her topic was how God uses anger. As far as I knew, I was not angry, but I knew someone who was so I went to see if I could do something to FIX her! God captured my heart that day and as I listened to every word as the speaker told my life’s story and all of my secrets, (you know how it feels like that when we sit in front of good preaching). At the close of the day she extended an invitation to ask Jesus into our hearts. I RAN to the alter to surrender my life to Christ. On that amazing day, I watched and heard that 50 something teacher unfold the word of God tenderly and delicately like we unfold a blanket from around a newborn. She treasured every word and every detail to the point that I was sitting on the edge of my seat waiting for the next promise. She had no business cards, no office, no ministry building. She had no published books, no facebook and no blog and no website. There was a point in the day when she asked us to write down a prayer. She encouraged us to ask God for something BIG and to expect His answer. I had lots of BIG things to ask that day (That has not changed in 25 years!). It was also on that day that God placed writing on my heart. I had never desired to write before but I left that day with the knowledge in my heart that one day, I would be a writer and a Bible teacher. I am walking in my "someday". Where has He asked you to go? Who has He prompted you to tell about His Love? His Mercy? His Plan? I thank God for Terri Garrett (wherever she is) and Beverly Abel as well as the many mentors who came along beside me after that day and ROCKED my World!! 3I thank my God every time I remember you. 4In all my prayers for all of you, I always pray with joy 5because of your partnership in the gospel from the first day until now, 6being confident of this, that he who began a good work in you will carry it on to completion until the day of Christ Jesus. Happy 25th Birthday to me!! I LOVE being YOUNG!!! I would not call myself the most disciplined girl in the world. For example, I start my diet every day. I have been trying to complete 30 days of the 30 day "Shred" for about 3 months. My garden looks beautiful once in a while, the rest of the time it looks like an interstate embankment. However, after close to a quarter of a century (HELLO!) of walking with God, there are a few things in my life that have shown me, that when I want to, I CAN stick something out consistently. I can do what I say I will do and actually stick with a task until it is completed. I have a girlfriend that teases with me when we talk about our "I thought abouts". Things like, "I thought about sending her a card". "I thought about calling my sister to say "I love you". "I thought about cleaning the garage this weekend". One of the sweet things that I have been disciplined with over the past 25 years, is time in my Prayer Chair. I have talked about that before on "Sweet Tea" but what I wanted to share this morning is about how I use a Bible Study, like Beth Moore's "Esther" or Kelly Minter's "No Other Gods" to help me stay excited about this discipline. I could truly go on and on here listing my Lifeway buddies as well as the many other authors that I follow. I am always using a Bible study to help me stay in God's Word. The other thing that I use and sometimes carry around me, are Devotional books. My very favorite, hands down, is "My Utmost for His Highest" by Oswald Chambers. Oswald Chambers is a man that was not famous when he was alive. He died in 1917 at the age of 43. Only 3 books had been published with his name on the cover. It was his loving widow "Biddy" who made him famous after his death. I just have to say here, I think I have been called "Biddy" a few times but it was NOT in love!!! Anyway, Biddy took the words of her beloved husband and turned them into over 30 published books!! You can read more about this anointed preacher here. In any case, Oswald has done as much for my Christian Walk as any writer I can think of who is not in the Bible. He has challenged my perspectives (some of his still don't sit well with me). He has given me hope when I have felt like a failure. He has poured spiritual gasoline on my dreams. He has unwrapped scripture in ways that have helped me understand some things that are beyond my grasp. I am so thankful for the written word. I have always been utterly awed by the Word of God and amazed at how God reveals Himself and His plan for and to men and women through His inspired and inerrant Word. It is irreplaceable in our Christian walk. His Word, His Work and His ways through mortal man for our eternal good. I am devoted to devotions!! Checkers or Chess? What's your game?? I have used my blog a few times to praise my husband and my children. I hope you do that as well. It's really fun and helps me to stop for a minute to focus upon and appreciate qualities, accomplishments and God moments that are happening every day. A mother needs that. There are so many times when I have felt like an utter failure with my kids. Times when something I say or do, or something they say or do, shouts. "you are a failure". I have learned over the years that those kinds of voices, the ones that say "failure" "loser" "you will never get this right" are voices that come from the enemy of my life. Satan has no other daily activity than to search the earth looking for someone who will believe his lies about their worth or success in God's assignments. 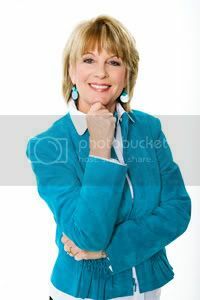 My friend, Renee Swope, is writing a book about our doubts as women and recently presented a survey on her blog. She was blown away by the responses that she got and was inspired even more to help women overcome this dead end thinking. "Mom, it is time that you change your game from checker to chess". That was pretty discerning. You are a pretty smart person! 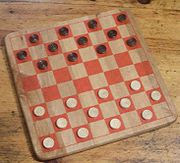 In the game of checkers we basically RESPOND to the move the other person makes. They move, you move, they jump your checker piece, you loose a bit of territory and work harder to get one of your little pieces to their side of the board so that you can become KING (or Queen in my case). On the other hand, in a game of Chess, strategic planning is required. 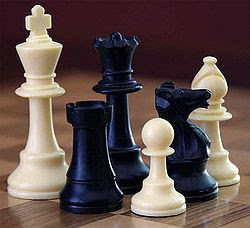 The better Chess player is one who is able to look at the Board and read into the thoughts of his or her opponent. The winning player will be the one who is able to consider the game a few steps ahead. It requires SEEING YOURSELF as a winner! It requires a confidence that goes beyond just a move to move response. There are seasons in life, as my brilliant child declared, when a change of game is called for. 3Roll your works upon the Lord [commit and trust them wholly to Him; He will cause your thoughts to become agreeable to His will, and] so shall your plans be established and succeed. I have some things that I have believe God wants to do with the new stage of my life, with my ministry gifts, with my vision, passion and experience. I have spent a lot of time talking about some of them, waiting for some things to take place, looking for some proof that others believe in me. I think God has been stirring me to ROLL MY WORKS UPON HIM ALONE. I think it may be time for me to switch from Checkers to Chess . Is there a dream in your heart? Is there something that you feel God is calling you to step into that you have been afraid to believe? afraid to try? Have you been waiting for someone else to say "You can do this?" or even afraid to admit to people around you that you WANT to do something? Embarrassed that they might think you are off your rocker? Maybe it's time to change your game and really believe that God has placed His dreams in your heart and that HE alone will make them come to pass but you have to make a move!! You have to be a bit strategic. Maybe it is time to take a chance. I know that it is for me!! ps...Please check out our "Fight Like a Girl" Ministry Giveaway at the "Surrendering the Secret" Blog. A few weeks ago I took a weekend girl trip back to the place of my birth, Savannah, Georgia. I grew up being referred to as a "Georgia Peach". I am defiantly a Southern Girl to the core and was raised on Sweet Tea and Southern Hospitality. My recent trip to Savannah was one that I have dreamed of taking for many years. I have longed to see this beautiful city that drips with moss and history, from the eyes of a tourist. I have wanted to stay in a downtown B&B which I have not done since my honey and I spent a few days in one of the "less expensive" ones on our honeymoon. This trip was all that I had hoped it would be and more. (you can read more of the girly details here). I have learned to expect and to love, lessons, insights and revelation from God in the most UNexpected places and things. This trip was one of those times. God began to stir a word in my heart on that trip that has stayed with me for the past 2 weeks. As my friend Trisha and I were walking the blocks upon blocks of the city squares it struck me that almost all of the restored houses had big welcoming front doors, almost all painted a bright red. They were beautiful and very eye catching. Very, "hey look at me" bold. I began to snap photo after photo attempting to capture their unique style and eye catching elegance. The next morning during my quiet time the Lord reminded me of the doors. I am the door of the sheep. All who came before Me are thieves and robbers, but the sheep did not hear them. And pray for us, too, that God may open a door for our message, so that we may proclaim the mystery of Christ, for which I am in chains. Each of those passages of scripture does some stuff in my heart. Challenging me to a higher place in my Walk with God. Expecting more self-discipline empowered by Him. Asking for more doors to be opened. Expecting more. Stepping into doors that He has set before without fear of failure, actually knowing that I WILL fail on occassion. It is amazing to consider the difference between the kinds of "doors" we focus on when we do not understand God's plans for opening and closing doors. The doors of the world that shout "come to me" are success, possessions, acclaim, approval, acceptance, ambition. God's Doors are so different. I am still in training for sure. I actually blasted an unrequested opinion the very first day that I wrote that first scripture about the "door of my lips" on a card to memorize! I probably always will be learning to recognize the DOORS that God has opened or closed verses those of the world. My desire is to not only recognize but to SEEK them, to expect them. God's doors are opened through humility, gentleness, love, truth, passion, service, patience, forgiveness. The doors that I seek now lead me into places of character change. Places where I am not as quick to judge and quicker to forgive, not envious but seeking the best for others, not seeking approval of man (or other women) but seeking approval of God and evidence of a renewed heart. I desire doors that God has opened. I desire opportunities to be a true Southern Hostess for My Abba Father and His children. PS...If you would like to OPEN A DOOR for post abortion healing in your church or community, there is some southern hospitality waiting for you at the STS Blog. Ya'll Come over for a visit!! The name of the Lord is a strong tower. The righteous run into it and are safe. Hello 2013! So happy to see you! Julie and Julia have nothing on me! Merry Christmas "Sweet Tea" friends!